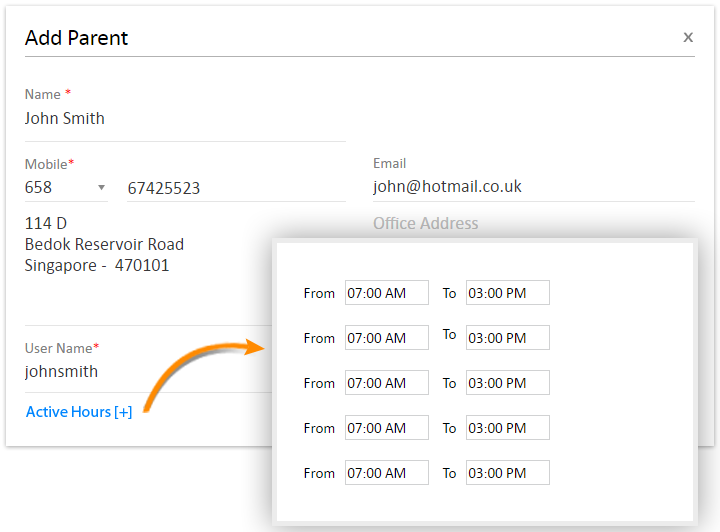 Email is no longer a necessity while adding parents; user credentials (username & password) will be sent via text messages as soon as you create a new parent. School managements can assign active hours to parents; thereby allowing them to login and monitor trip progress on web/phone apps during school hours. 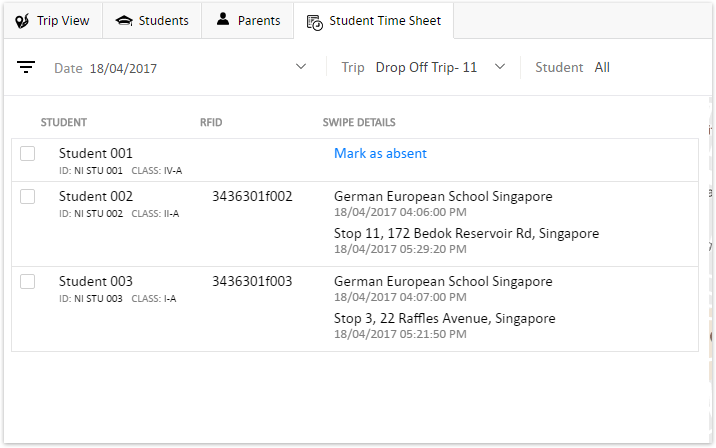 Student timesheet report turns out more useful with real time updates on active trip. I.e, As soon as a student swipes RFID card, you could view it real time on report. 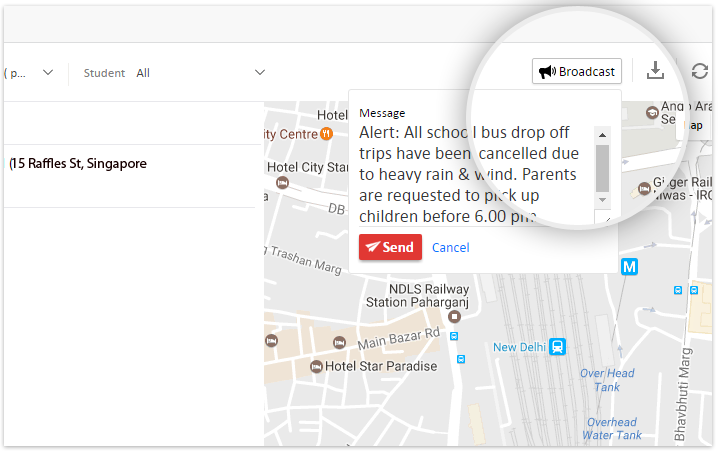 And, most importantly, system identifies if a student fails to get on the bus and gives you an option to mark him/her as absent stopping further notifications which are no longer relevant. What’s new in AVLView app? Read release notes.